EEI takes Silver at the SAME Design Excellence Awards in Seattle! EEI was the Prime POL Design Engineer on this award winning Design / Build project for White Mountain Construction (WMC). 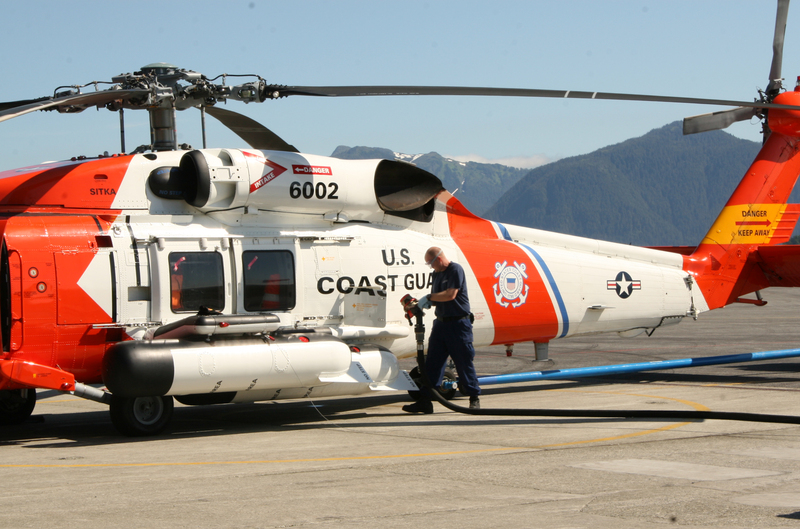 The project involved replacing the majority of the fuel system at USCG Base Sitka, Alaska. The existing hydrant system consisted of two tanks, a pumphouse, and hydrant pits with hose reels. The equipment did not meet current military criteria for aviation fueling systems and many of the system components were obsolete and presented a potential environmental risk. The underground piping and the hose reel pits were abandoned and replaced with aboveground piping and a new hose reel and 75 foot pantograph for helicopter refueling. In addition to the helicopter refueling point a truck loading rack with a pantograph arm and separate meter was also provided. The truck off-loading rack was reconfigured and the existing concrete secondary containment was expanded to provide parking and containment for the USCG’s refueler. The pumphouse was completely reconfigured and new API 1581 5th Edition filter separators will be installed. To facilitate the Design / Build approach EEI performed the site investigation and, working with WMC and the USCG, refined the project scope and developed the concept level design. Once the design direction was established, EEI performed hydraulics for pump sizing and worked with WMC to develop a piping and facility layout. The new piping layout had to fit within the existing pumphouse structure and connect to the existing tank piping. To minimize construction costs the piping system was designed to provide flexibility whereby the filter separators can be used for issue, receipt or tank-to-tank fuel polishing. The facility was equipped with a defuel pump and an additive injection system. To protect the equipment from the normal heavy Sitka precipitation, a shed roof was provided over the helicopter fueling pantograph.